Studying antibiotics is not an easy job as the anti-infective era with a lot of antibiotic classes, different mechanism of actions, different coverage as well as different resistance patterns. Drug Class Reviews including various classes of antibacterial drugs and anti-fungal drugs. 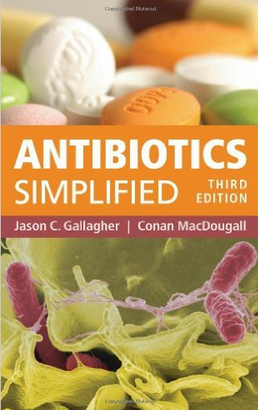 This book will help students and nurses as well as pharmacists to learn the characteristics of antibiotics and why an antibiotic is useful for specific indication. It is updated with new discovered antibiotics. Easy to read and understand and it wasn't too terribly lengthy. Mechanism of action, spectra of common pathogens, common/class unique adverse events and clinical pearls.